Who do Ты think will win season 14 of Dancing With The Stars? Not only can she bust a Переместить on the floor but her beautiful face is now featured in a Музыка video! The Alaskan band, Static Cycle, has featured Bristol Palin in their new Музыка video "Inside This World Of Mine" where she is wearing a matching норка, норки пальто and hat. The anticipation is high for this video since it won't air until October 25th! I DON`T KNOW HOW TO GET THIS MESSAGE TO CLORIS BUT I CAN GUARANTEE THAT IF SHE AND HER DANCE PARTNER WOULD DANCE TO "JUST A GIGOLO" BY DAVID LEE ROTH,AND DAVID LEE ROTH ONLY THAT IT WILL BE ONE HELL OF AN ENTERTAINING SMASH HIT.NO DIGGITY NO DOUBT.LAST WEEK THEY SPOKE OF ALL THE INJURIES THAT THE DANCERS CAN ENCOUNTER.CAN Ты IMAGINE WHAT IT MUST BE LIKE FOR AN 83 год OLD WOMAN TO ENDURE. I HOPE I CAN Переместить SO EASILY AT THAT AGE.HECK... I HOPE I`M EVEN ALIVE AT THAT AGE. CAN SOMEONE HELP GET THIS MESSAGE TO CLORIS AND HER DANCE PARTNER? I KNOW SOME OF Ты OUT THERE HAVE CONTACT`S. THANK`S. 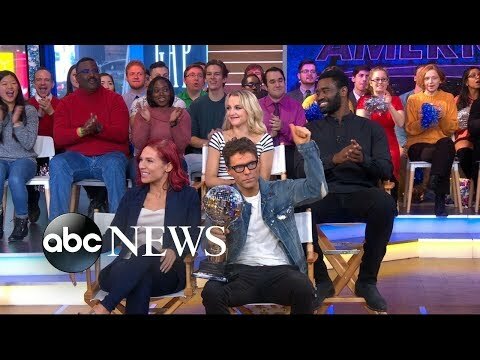 LIVE Показать featuring DWTS cast members! a poll Добавлено: (Updated) Which pair of champions is your favorite? True или False: Valentin Chmerkovskiy is a fortune teller?